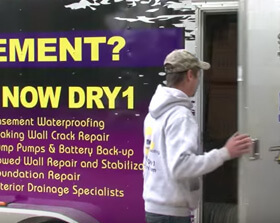 Now Dry is the Leading Basement Waterproofing and Foundation Repair Company in Fenton, Michigan. We offer revolutionary technologies to keep your home protected against unexpected flooding, leaking, and foundation damage caused by excess water in your basement. Our patented technologies are guaranteed to reinforce your home against costly water damage. Our experienced technicians will repair the damage to your basement or crawlspace caused by years of flooding and leaking and provide a solution for keeping your basement dry. Your home is probably your biggest investment. We understand how stressful finding the right company to work on it can be – but that's where we come in! We are experienced contractors with years of experience repairing Michigan basements. Our technicians receive classroom and field training to guarantee you’re getting the most qualified and courteous basement waterproofing specialists around. We are passionate about solving problems and dedicated to finding the best solution for your situation. Water damage can wreak havoc in a basement and cause more issues down the road. Quick-setting cements and other DIY products sold at big box stores are only a bandage on bigger problems. Eventually they fail, and water will simply reroute to another area along your foundation until it finds a way in. No matter how old your home is or what type of Michigan basement you have - poured concrete, concrete block, or field-stone walls - Now Dry has a customized solution to keep water from getting in. We'll provide a proven solution and a Lifetime Guarantee! Wet Basement? We Can Fix That! Schedule a free Basement Inspection From a Waterproofing Expert! Honest Company with a Great Price! …I met with a lot of companies and his system is the best and his price is a lot lower than the larger water proofing companies. Plus, Steve oversees all the jobs and puts together the water proofing system himself, which is crucial. If you are looking for an honest company with a great product and great price, I highly recommend calling Steve at Now Dry Basement Water Proofing. 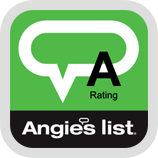 Schedule a FREE BASEMENT INSPECTION! The contents of this webpage are Copyright © 2019 Now Dry. All Rights Reserved.